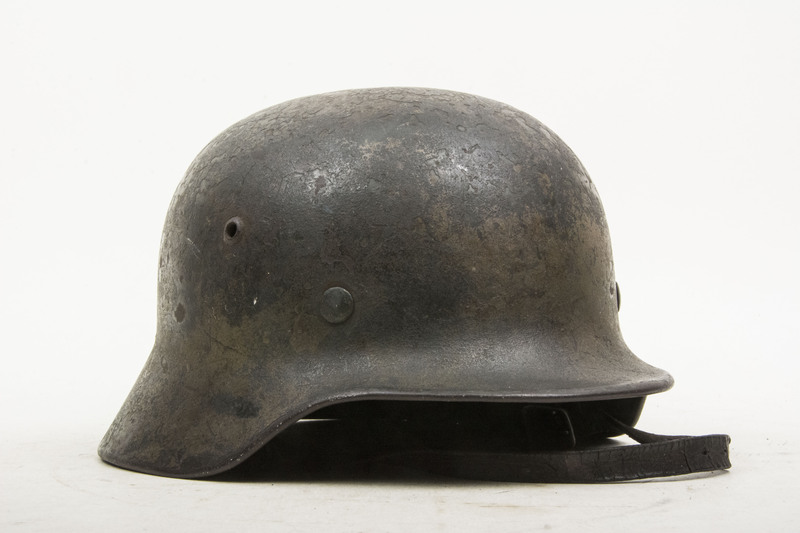 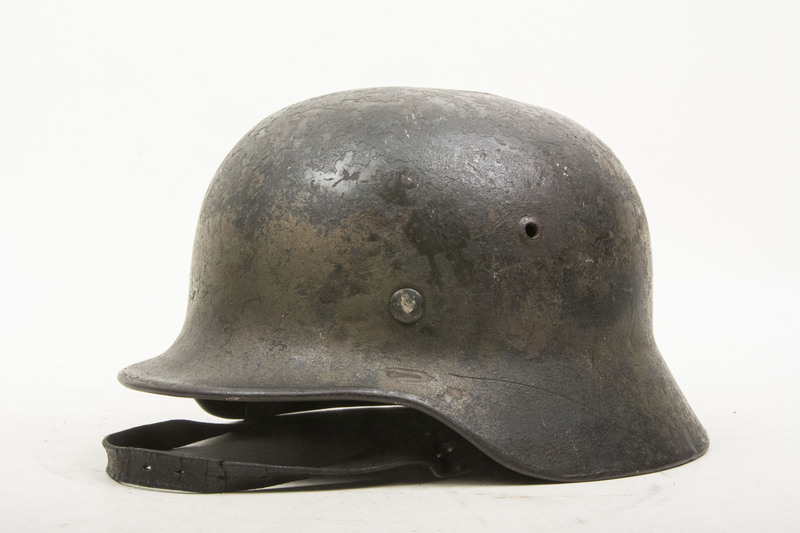 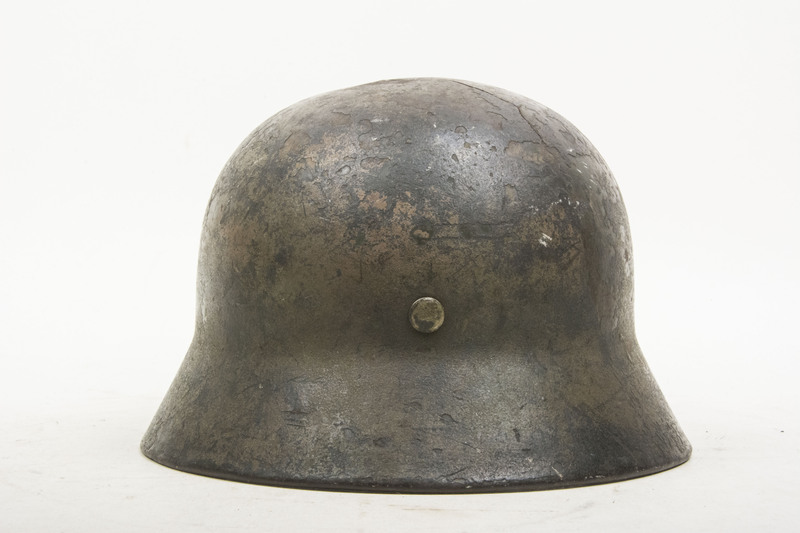 stunning three-tone camouflage M35 helmet named to Gefreiter Pannewig. 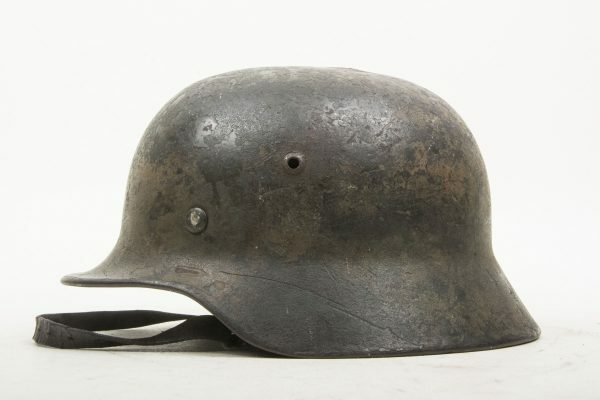 The helmet is nice one-looker original M35 helmet with numerous layers of camouflage paint op top of the early smooth green. 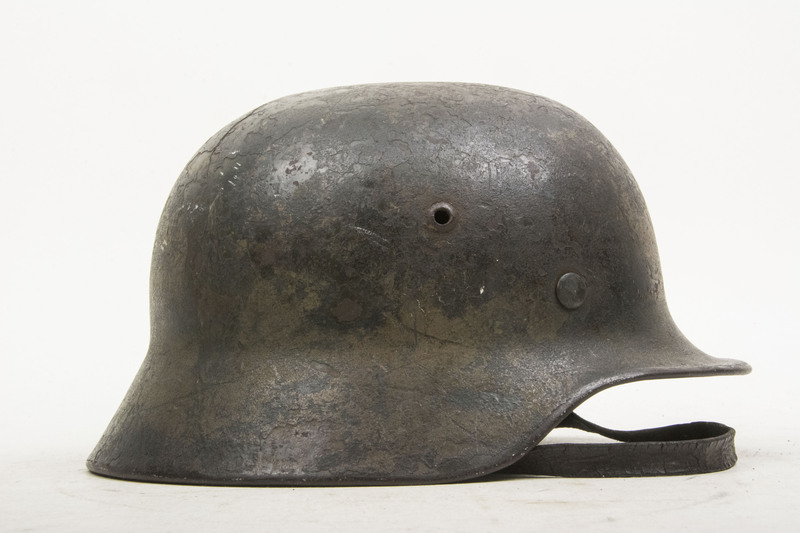 The helmet retains both of its decals showing under the crazing in the camouflage paint. 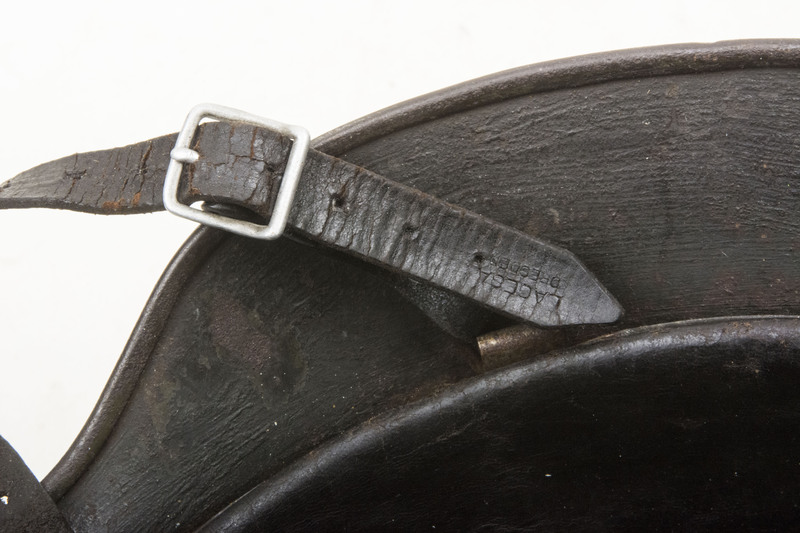 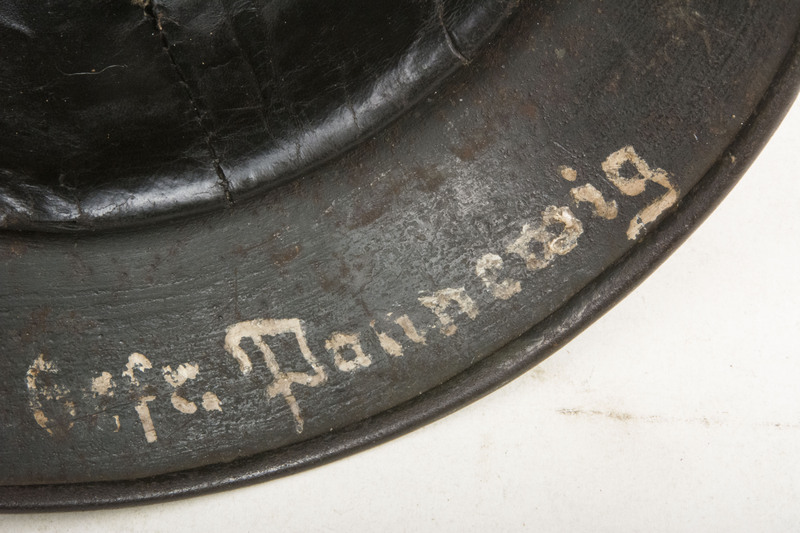 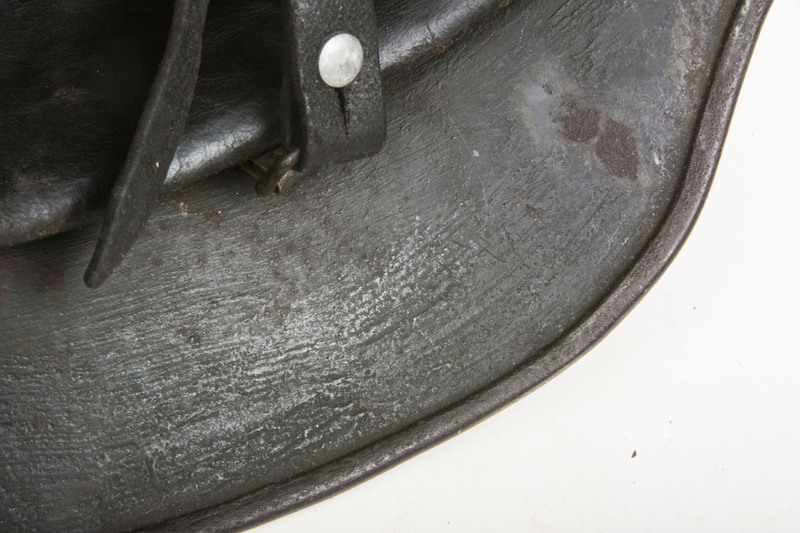 The rear skirt of the helmet is named Gefreiter Pannewig. 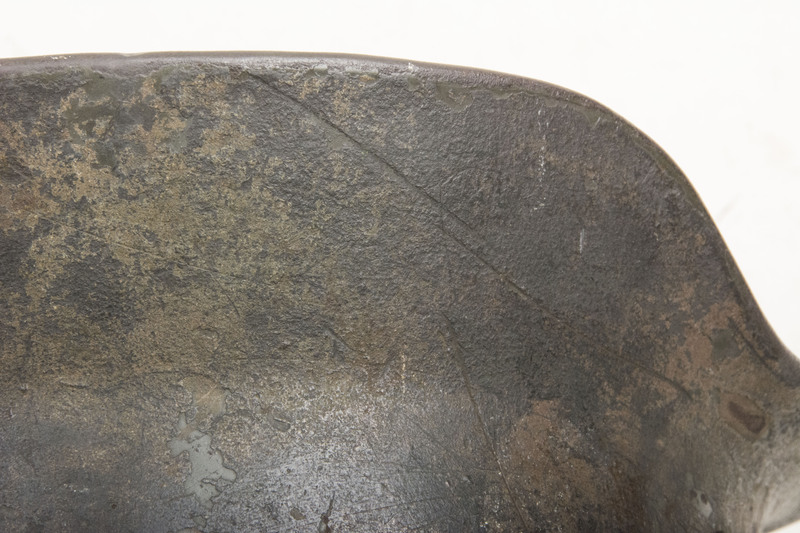 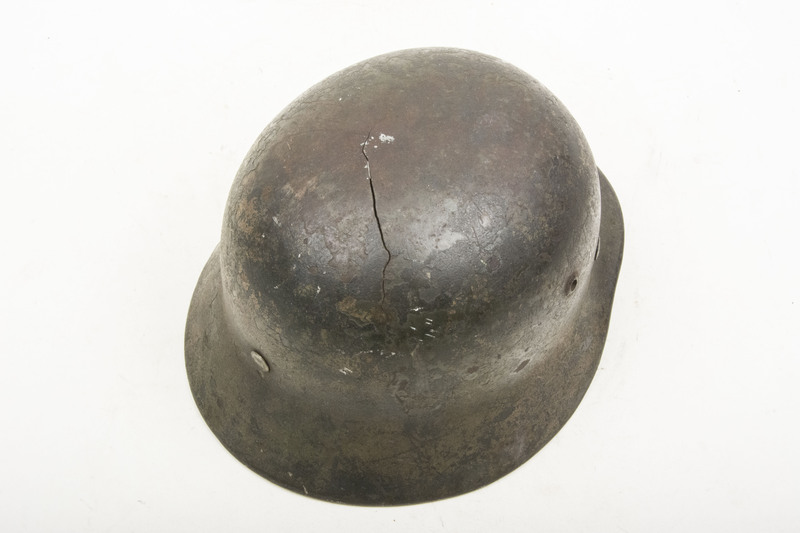 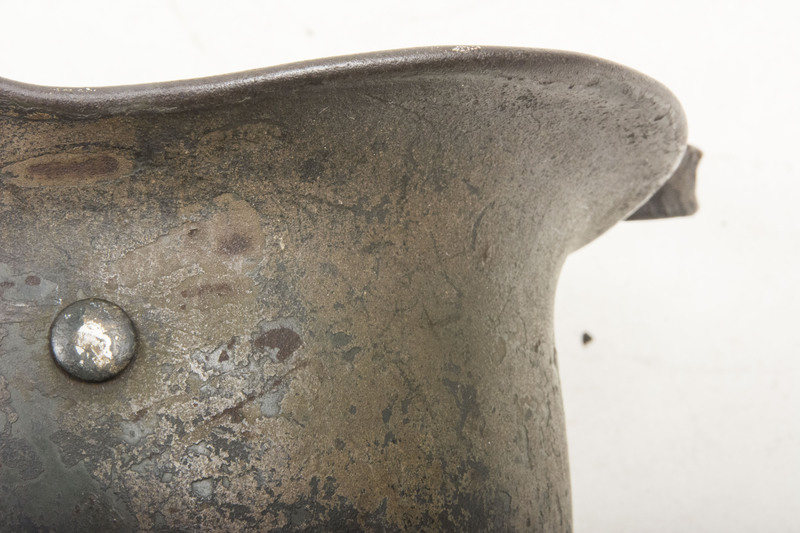 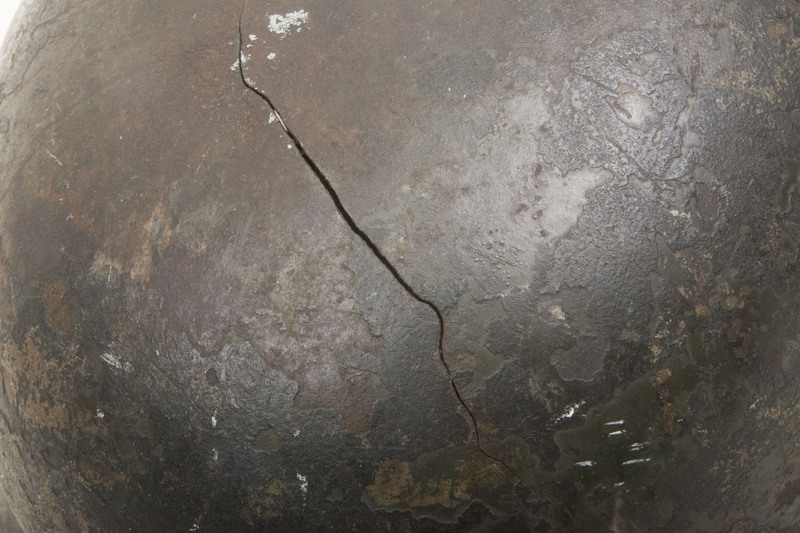 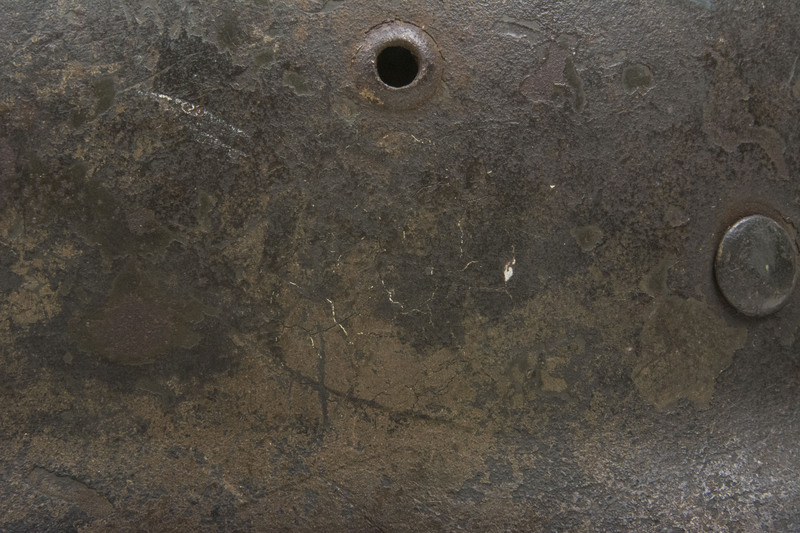 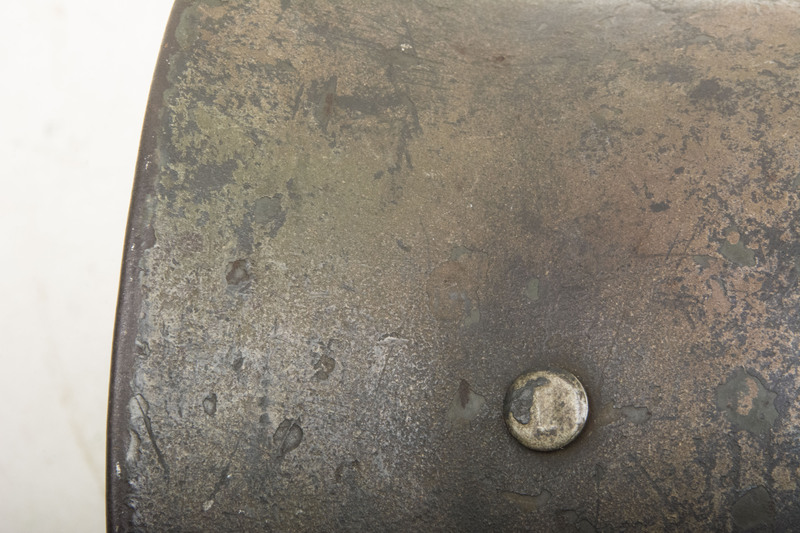 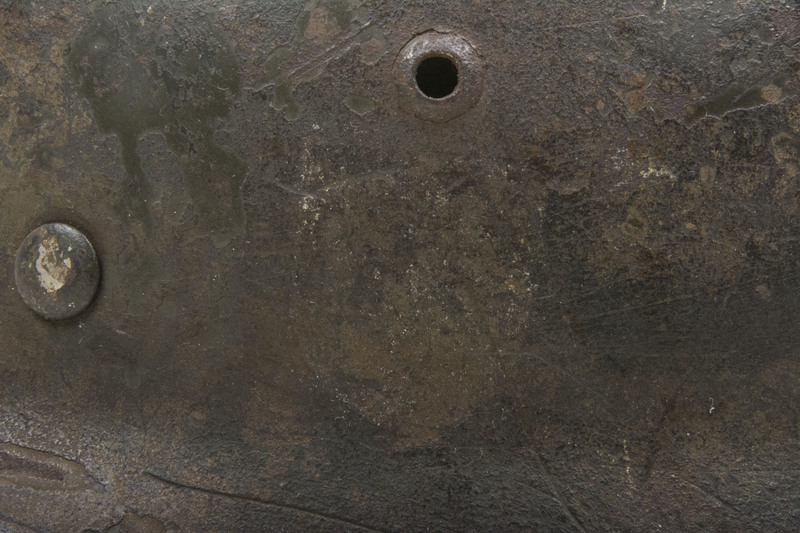 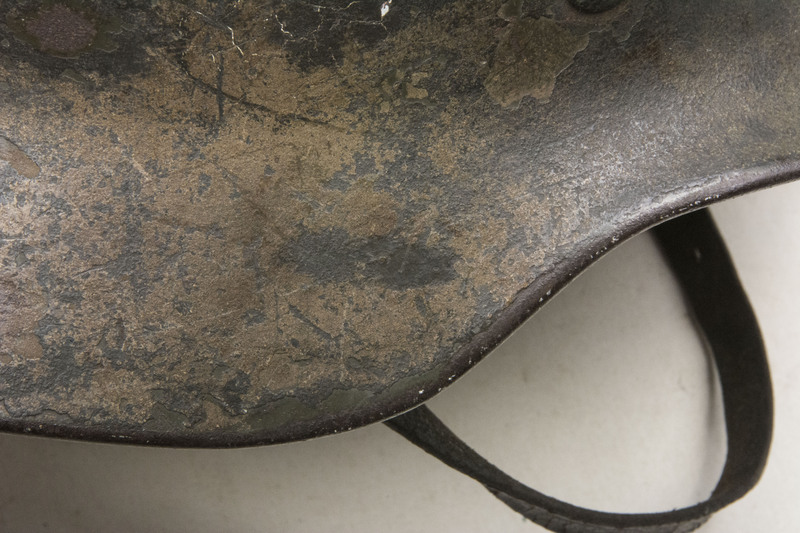 The helmet has a wartime battle damage on the crown. 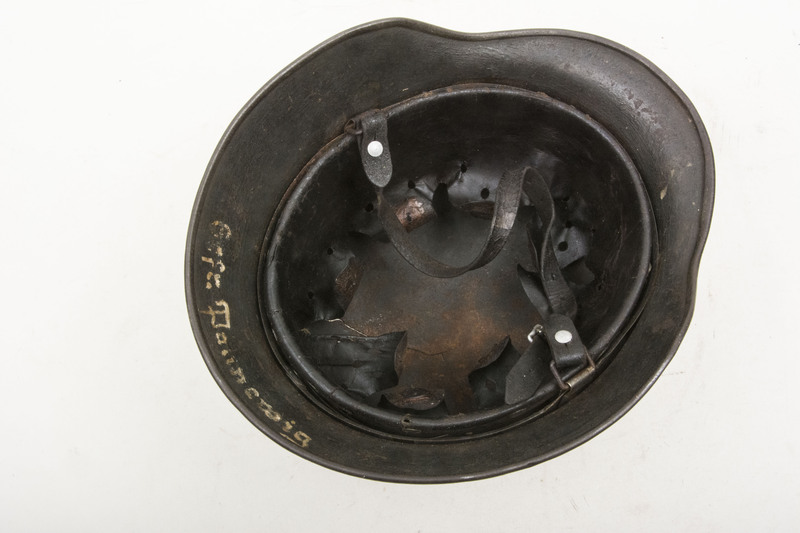 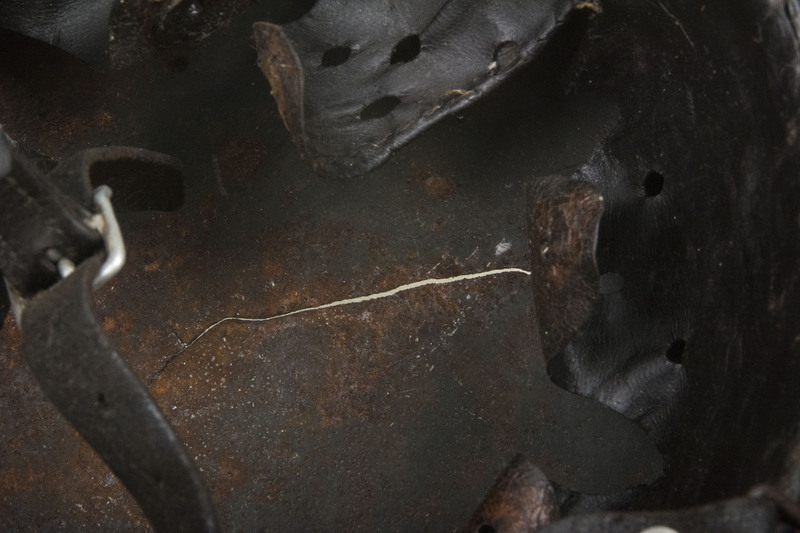 Most likely a explosion was near the helmet which cracked the shell. 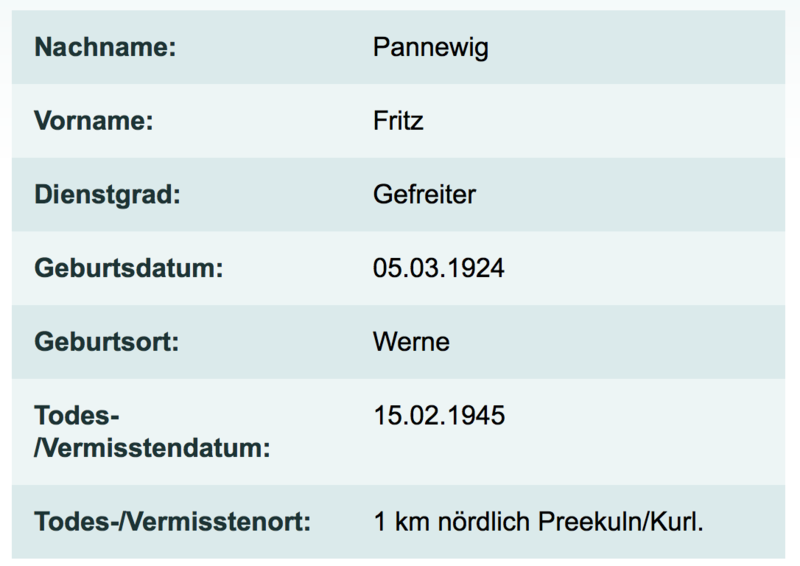 Looking into the Volksbund database there is a match to a Gefreiter Fritz Pannewig who was born 05.03.1924 and killed in action 15.02.1945 1 km north of Kurland. 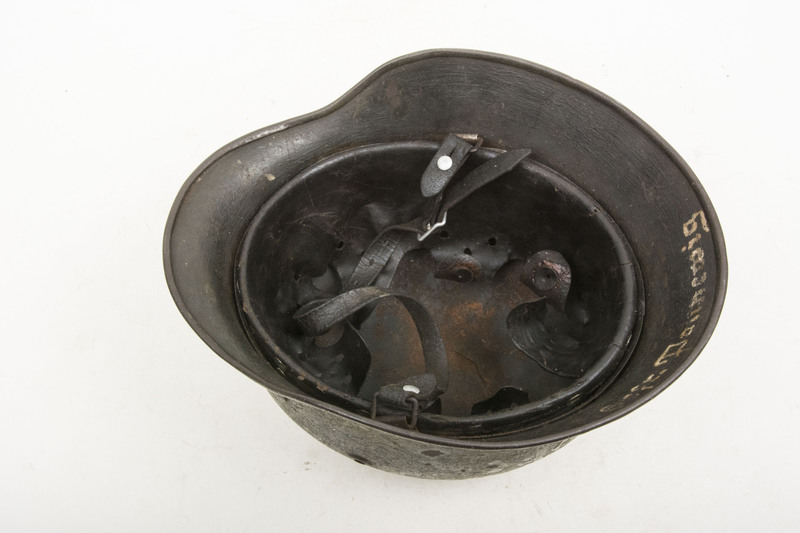 The liner and chinstrap are original to the helmet albeit both fully darkened, blood soaked and at some point treated. 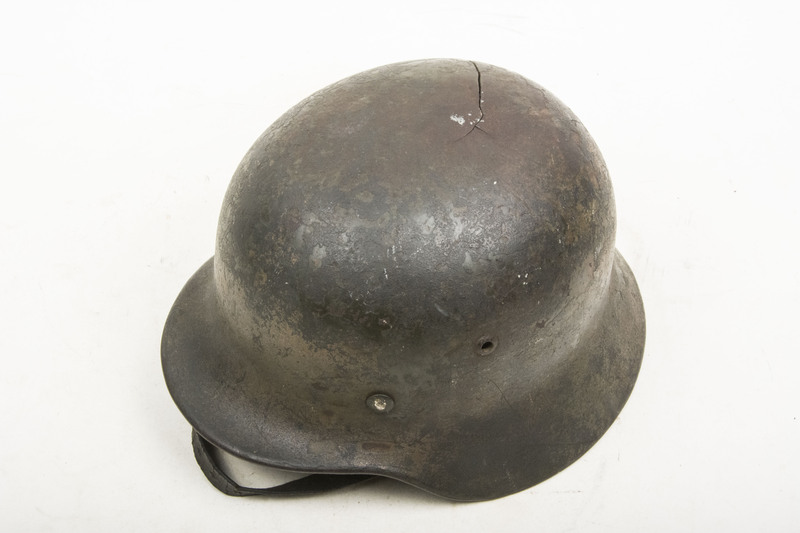 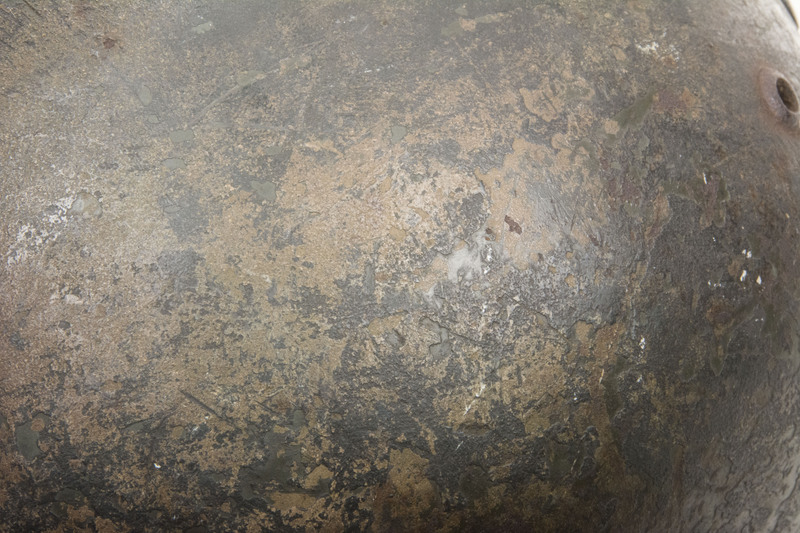 The helmet is a nice example of a three-tone camouflage battle-damaged KIA helmet which is attributable to the battles in Kurland.